Help make North Carolina the leader in non-fiction storytelling. 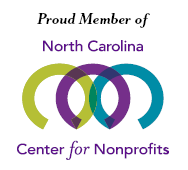 NCNC is a non-profit organization and all gifts are tax-deductible. Your dollars will help independent journalism and nonfiction storytelling continue to grow and flourish in North Carolina. We appreciate your support. And that's a verifiable fact. If you're a businesses and other organizations that wishes to support the objectives of the North Carolina Newsroom Cooperative, let's talk! Email maryemiller@newsroom.org to begin the conversation or become a sponsor here.